Facebook added new capabilities to Conversion Lift that help marketers understand exactly which of their Facebook ads are driving their ad objective best. The updated Conversion Lift measurement tool helps advertisers make more informed marketing choices, so they can continue to grow their business. A new study revealed that online reviews impact 67.7% of respondents’ purchasing decisions. More than half of the respondents (54.7%) admitted that online reviews are fairly, very, or absolutely an important part of their decision-making process. Almost one-third (31.6%) of US media ad spending will be allocated to digital media this year, with mobile capturing the majority share of that spending, estimates eMarketer in a recent forecast. In fact, for the first time, the share of media ad spending allocated to mobile (16.6%) will exceed the share allocated to print (15.8%). 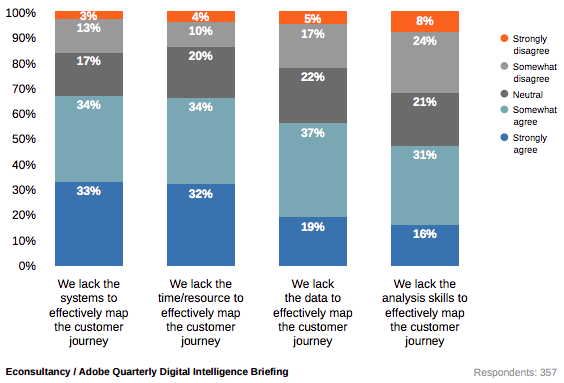 A new Econsultancy report in partnership with Adobe surveyed 2,000 digital marketers and found that companies are still struggling to embrace multichannel marketing. For most workers, simply checking to see whether they’ve got a new email consumes as much time as they spend doing productive work. Working hard to romance in-demand experts to collaborate, co-create and even advocate can be a substantial investment. The mutual benefit from these long term relationships can mean anything from hugely successful marketing programs for brands to top billing at speaking events, book deals and consulting work for the influencers. In this interview, Jeff talks about the most fun job in the world at Microsoft, marketing technology and predictive analytics, marketing executive career advice and how he stays current in the digital marketing world. We also get to peek into his crystal ball for upcoming digital marketing trends. One of the most important audiences for content-the people who can make or break the success of your organization-is also the toughest audience to impress. They know your company inside and out. They have highly evolved B.S. detectors. They are the ones who decide whether what you say about your brand is true. Inherently knowing that there is value in social media marketing and being equipped to show value are two different things. Social media provides a unique and often-challenging opportunity to connect one-on-one with customers, prospects and fans of your business. However, only 42% of marketers feel that they are able to accurately measure the value of their social media efforts.